Who I am is what I have to give. Quite simply, I must remember that’s enough. Reading about loss and grief of bereaved parents recently, I came across the research of Miles and Demi* who categorised five types of guilt that bereaved parents may experience. I was struck by how these five types mirror the feelings of mothers apart. The first is cultural guilt. Society expects parents to be guardians of their children and take care of them. Not to be in a position to do so affronts this social expectation. Causal guilt is the second type – a parent feels responsible for the death of their child through real or perceived negligence. Moral guilt is when a parent feels that their loss was due to a moral wrongdoing in their present or earlier life, like a terminated pregnancy. Survival guilt occurs when a parent agonises, “Why did my child die and I am still alive?” Finally, there’s recovery guilt. As a parent begins to move through their grief and get on with their lives they feel like that they are dishonouring their child and that society judges them. Some mothers apart have experienced the isolating agony of actual bereavement, some the living bereavement of separation whilst others still, know the despair of both. Understanding that feelings of guilt connected to loss are multi-layered and broad reaching can help us find positive ways of facing up to and moving on from unhealthy beliefs and assumptions about guilt. 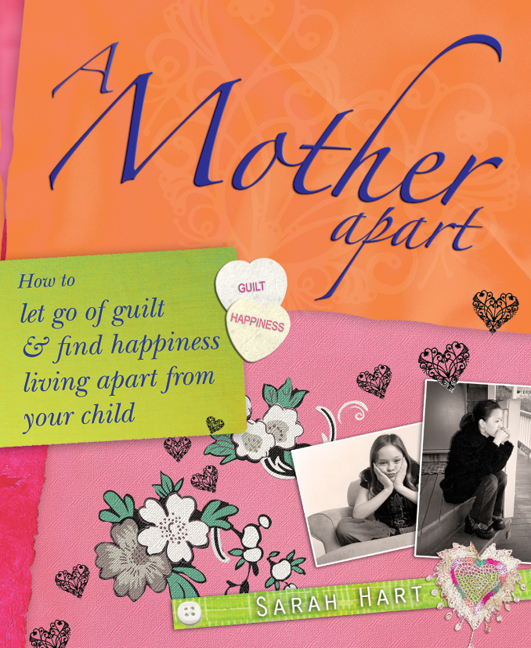 As a counsellor who works with mothers apart from their children, I hear a lot about guilt. Many women persecute themselves believing they are at fault. “If only I hadn’t done such and such…” or “I feel to blame because I said or didn’t say this or that”. We feel we have let our children down. That who we are and the degree to which we can mother from afar isn’t enough. Understand the function of guilt. Guilt lets us know then our conscious is operating. It acts as our internal barometer and it can guide us to face up to reality, find solutions to problems, make amends, to right a wrong. Take courage and face your sense of guilt head on. Talk your feelings through with someone you trust to assess your level of responsibility. Reality check your guilt. In my experience, mothers apart from children blame themselves, forgetting that it takes two to make or break a relationship – whether that be an ex partner or an adult child. If you are a victim of PAS make sure you accept deep down, that it is not your fault. Be aware of self punishing behaviour. To decide to end a marriage is a life choice, not an unforgivable sin. We make some choices and others are made for us. Sometimes we think we made a choice when the reality is that there were very few options open to us at the time – we didn’t have the information, insight, strength or resources. If you left an abusive relationship, thank goodness you got out, you survived. When appropriate, make amends but be mindful. Amends shouldn’t be made when prompted by fear, because of what others think or to try to manipulate. Check the appropriateness of making amends and what you say, particularly to children. Get a balanced view from a trusted person first. Take courage and examine your guilt. Is it masking other feelings such as anger or making you avoid other emotions, like grief and loss. Please get professional help if you need it. Feel free to call or e-mail me to discuss how I could help and support you through telephone counselling. Failure to resolve guilty feelings can lead to depression, feeling stuck and relationship problems.